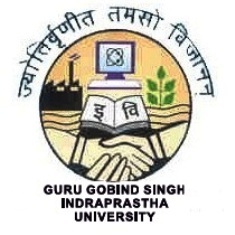 Indraprastha University Common Entrance Test (IPU CET) is a University level exam for admission to various Undergraduate and Postgraduate courses in Engineering, Dental, Medicine, Law, and Management. Conducting Body: IPU CET is conducted by Guru Gobind Singh Indraprastha University [GGSIPU], Delhi. The IPU CET 2019 Cut off will be released after the declaration of IPU CET Results. The IPU CET 2019 Cut off will be released for All India level, for Delhi region and for outside Delhi regions of IPU CET. The difficulty level of the entrance exam. Total Number of seats available. Total Number of candidates appearing for the test. Previous year Cut Off trends. The Cut Off of IPU CET is an important factor in the process of admission. The candidates have to clear the IPU CET Cut off to become eligible for the admission otherwise their chance of getting admission becomes very less. IPU CET Cut off 2019 will be released for each B.Tech programme offered and categories of candidates. It will be released in the form of opening and closing ranks. Candidates who will clear the IPU CET 2019 Cut off will be proceeded further for counseling procedure of the exam and further admission procedure will be followed. The candidates can find the cutoffs for the previous years and understand the IPU CET exam cutoff scenario. The candidate has to click on the desired field to gain access and view the cutoff for a particular year.